Label troubles with both Young Money and No Limit caused this talented New Orleans MC to see his debut studio album to face delay after delay. It actually got to the point that Curren$y was no longer affiliated with those two crews and found himself instead releasing a steady stream of mixtapes. And it was not until 2009 that he finally made his debut with the appropriately titled This Ain’t No Mixtape. While his mixtape game didn’t slow down, he began also focusing on his proper studio records, such as Pilot Talk, his first album due out on the Blu Roc label. 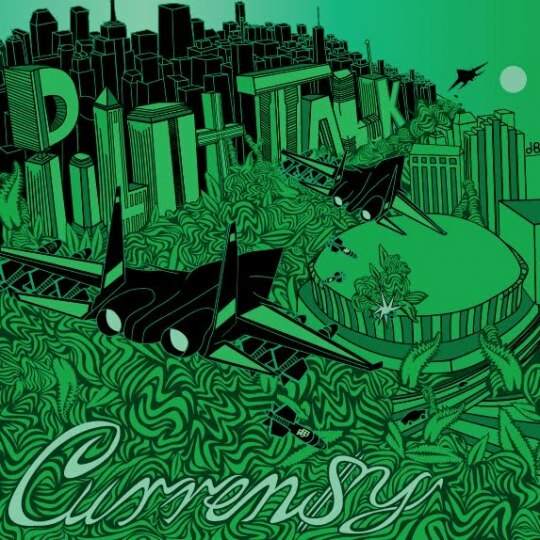 As the title implies, Curren$y’s still got a thing for getting high and rapping about it. But he’s also made a few new pals through Dame Dash’s DD172 collective, including Ski and Stalley, who both make appearances here. I think the production on here is ok (since Ski Beats produced almost the whole album except for like 2 or 3 songs). Its not the best but i can still bop my head pretty hard. The lyrics are out there and are some of the best from Spittah himself.Ive Been waiting forever for this album and i think it was worth the wait.